Day 21c: I’m on a Boat! So I snuck out of work for a few hours to run up to see more Improv. Don’t worry, I worked late when I got home to make up for it. It was a short form format where each actor took a turn “directing” a short film live on stage. At the end of the film, the audience voted weather it was a hit or a flop. The actor with the most hits at the end of the night was the winner. This time, the Improv was in English. 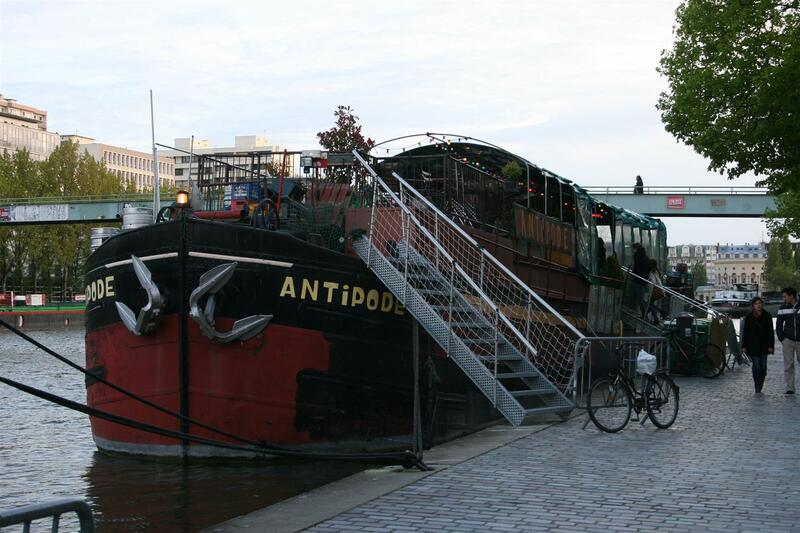 But also… the Improv was ON A FREAKIN BOAT! I'm on a boat, yo! Look at me watchin the Improv on a boat, yo! 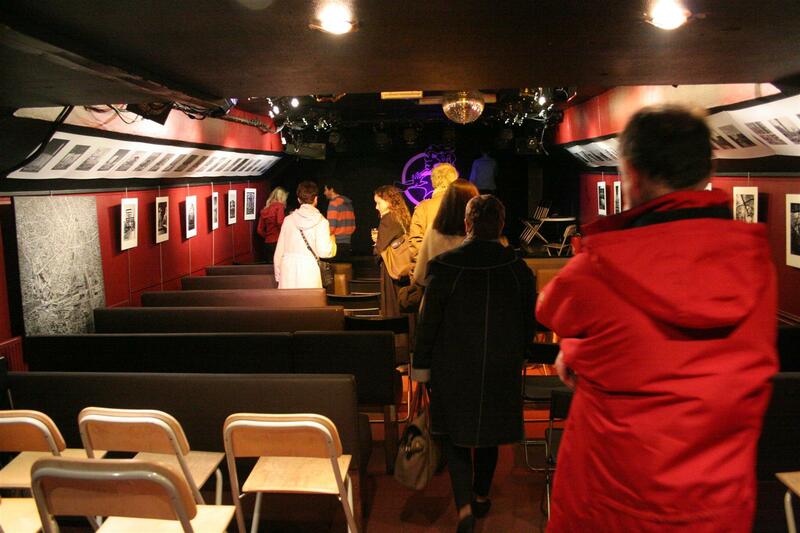 The boat’s owners had turned the inside into a small bar and a decent sized theater. I think they said it sat 70 or so. Nabad!! The show was a lot of fun. My favorite scene was a Shakespeare/Tennessee Williams mashup (go figure, Un-Scripted person gravitating towards Genre Mashups). The cast was pretty eclectic, too. I’m pretty sure there were 2 Brits, and American, a German, a Frenchman and… perhaps someone from a Scandinavian country. All doing Improv in English.